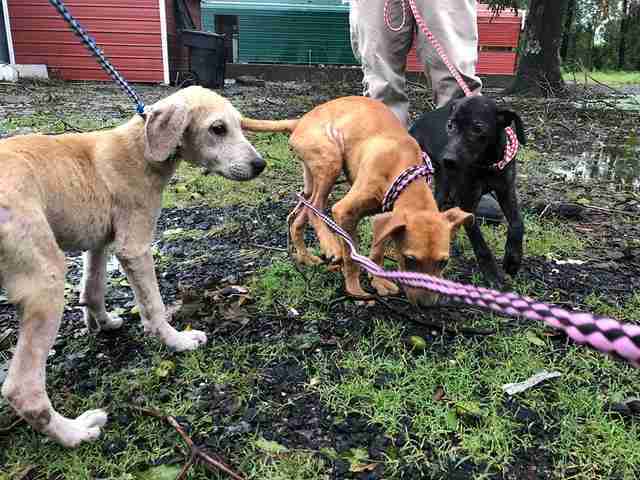 When Hurricane Florence engulfed North Carolina with floodwaters, Mike Stura jumped into his truck and drove from New Jersey to see if he could rescue some animals. Stura, founder of Skylands Animal Sanctuary and Rescue, didn’t need to look hard. 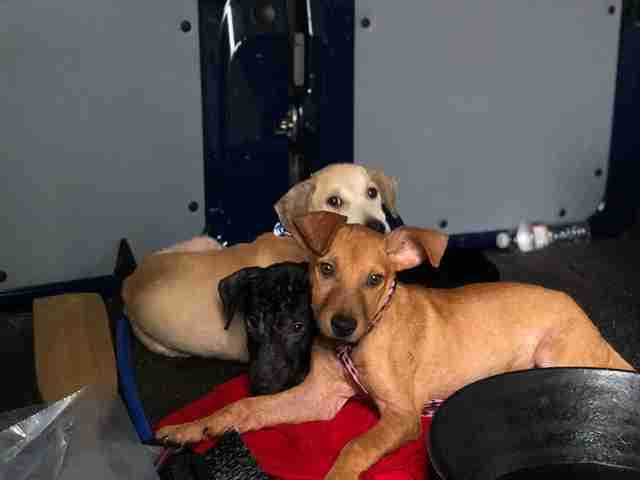 On Sunday, he and his two friends, Todd Friedman and Dave Miller, found three puppies above the floodplains in North Carolina who needed their help. But the puppies turned out not to be his biggest challenge. Someone had shown him a video of cows struggling to swim in surging floodwaters on a nearby property. When they arrived at the property, some cows had safely gotten onto the owner’s front porch, which was elevated above the floodwaters. 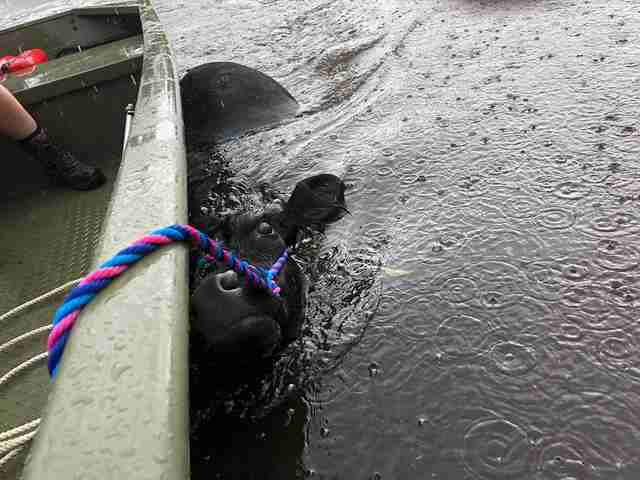 But one cow was swimming in front of the flooded barn — and she was struggling to keep afloat. But getting the cow to safety wasn’t easy. Stura had parked his truck and trailer a mile away, so they had to drag her quite a far distance with their boat. At one point, their motor failed. “Luckily, a guy came with a jet ski and gave us a little tow,” Stura said. But the hardest part was getting the cow out of the water. 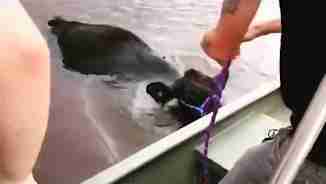 Stura, Friedman, Miller and the locals worked together to lift the cow out of the water. The cow finally collapsed in the safe, dry trailer. Stura tried talking to her, telling her that she was going to be OK. 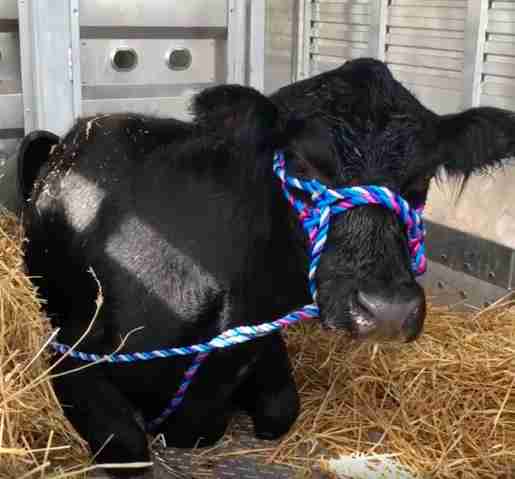 The farmer who owned the property had told Stura over the phone that if he managed to rescue any cows, he could keep them — so Stura drove the rescued cow home to his sanctuary in New Jersey. Stura is hoping that the cow, who has yet to be named, will bond with Babe, whom Stura rescued from Hurricane Harvey last year. Whatever happens, Stura is sure the cow will be very happy at the sanctuary — and he’s grateful for the people who helped make her rescue happen. To help rescue more animals like this special cow, you can make a donation to Skylands Animal Sanctuary and Rescue.